When it comes to power reserves, you probably thought that the 7-day IWC’s or the 8-day Panerai’s were already massively powerful – and obviously, they have more power than 99% of the mechanical watches produced. 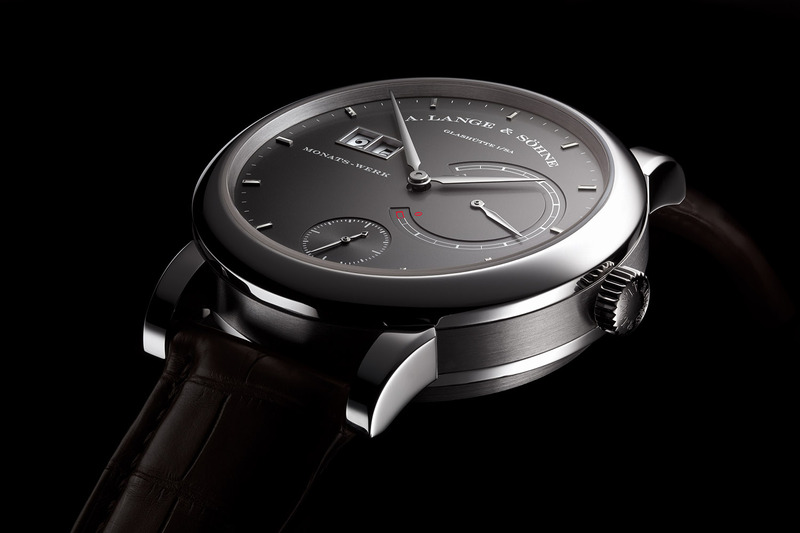 Well, if power is your thing and you simply hate winding your watch, you might want to consider the Lange 31. 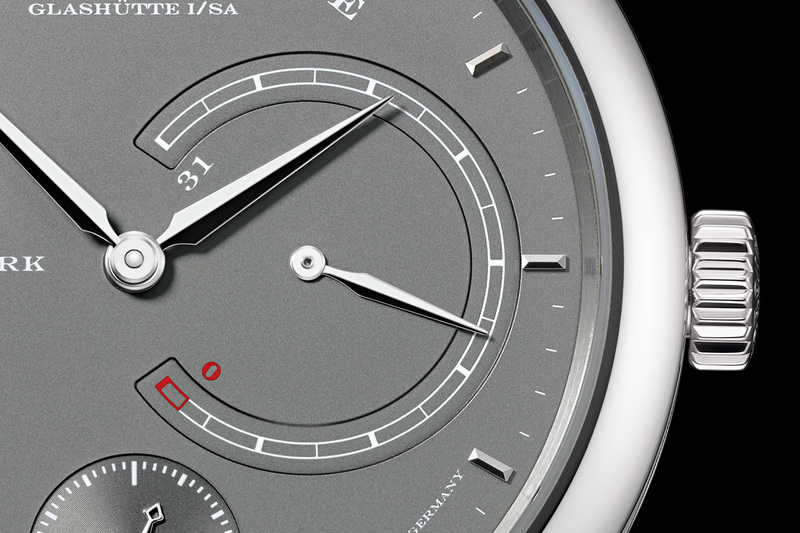 Keep in mind the ’31’ does not refer to the diameter of the watch but rather the length of its power reserve…in days. Yes, this watch can run for 31 days, from a single barrel, when fully wound. Impressive, right? This powerful watch comes in a new version for SIHH 2017, in white gold with a grey dial. 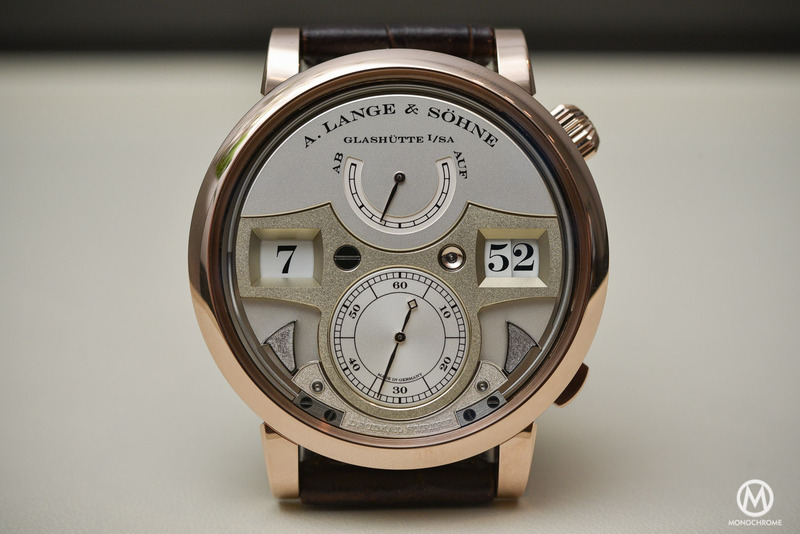 When it first debuted in 2007 the A. Lange & Söhne Lange 31 was the wristwatch with the longest power reserve available, and the first watch to have 31-days / 744hrs of energy stored in a single movement. Although some others achieved a massive 50-day / 1,200h power reserve (Hublot with their MP-05 LaFerrari) this was only because the movement was stacked with 11 mainspring barrels. 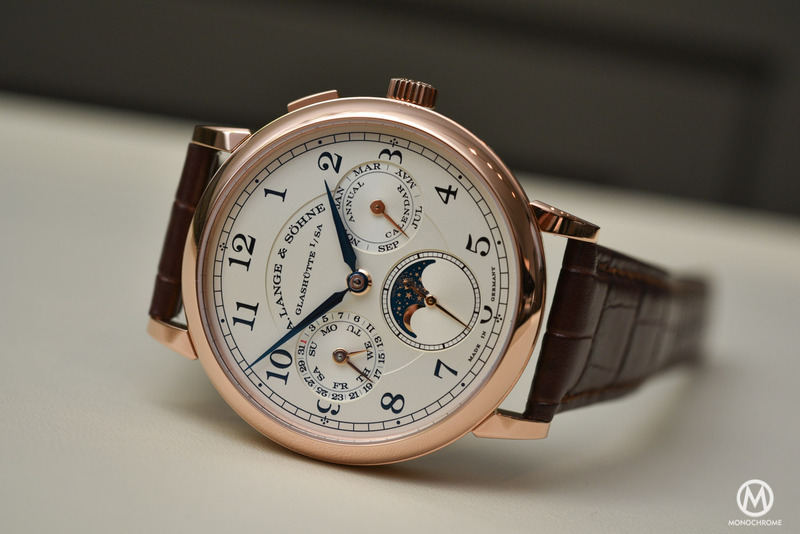 In the case of the Lange 31, everything comes directly from a single barrel, with two mainsprings that each measure no less than 185 centimeters uncoiled (approximately the length of an average Joe). These two springs are actually so long and so rigid that you couldn’t wind them in the traditional way, i.e. by rotating the crown. Thus, winding is done via the caseback with a separate key that inserts into a square socket in a recess of the sapphire crystal back. Its technical features include an integrated backstop ratchet for smooth and easy winding as well as a torque limiter that prevents unintentional overwinding of the springs. Still, as impressive as a 744 hours / 31 days power reserve movement can be, if it all comes from a single barrel this will immediately create a huge issue, an issue that will drastically affect the precision of the watch. You see, the two mainsprings that are featured in the Lange 31 are so strong that, when fully wound, they will initially deliver an enormous amount of torque to the movement, so much so that this would simply damage the escapement. 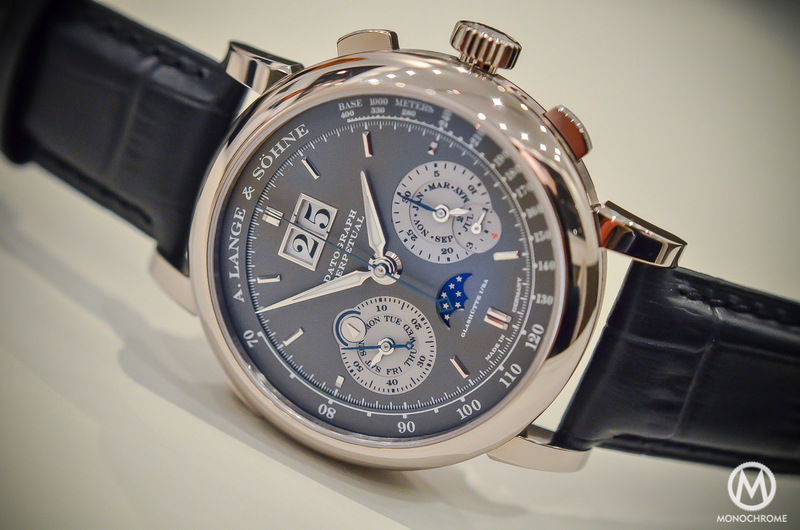 Likewise, the torque will gradually decline toward the end of the power-reserve period – meaning that the power sent to the escapement won’t be linear at all and that the amplitude of the balance will be greatly affected, resulting in poor accuracy of the watch over the length of the power reserve. 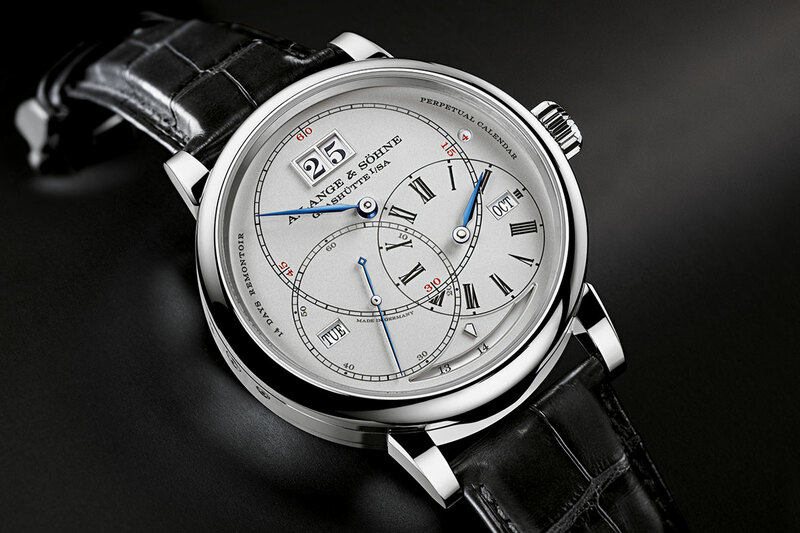 The solution found by A. Lange & Söhne is constant-force escapement, which aims to smooth the delivery of torque from the mainsprings over the length of the power reserve. A remontoire between the twin mainspring barrel and the going train delivers a constant amount of energy to the escapement every ten seconds, so consequently, the balance always oscillates with the same ideal amplitude (the same device can be found in the Lange TerraLuna). 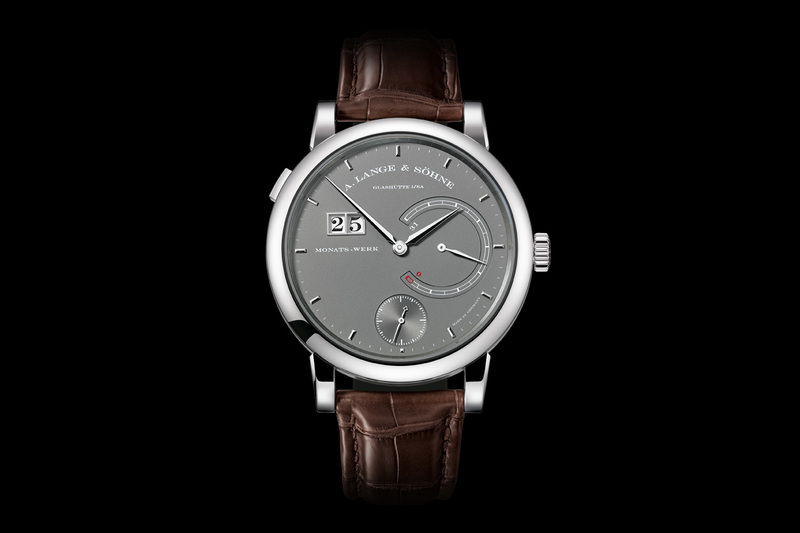 For the SIHH 2017, this A. Lange & Söhne Lange 31 (which was previously available in platinum with rhodium dial or in rose gold with silver dial) will now be offered in a limited run of 100 watches, in white gold with a grey dial and brown leather strap. The case still measures a large 45.9mm diameter and 15.9mm height, dimensions that are simply explained by the massive size of the barrel. Lots of power requires lots of space. Price: 142,300 Euro. 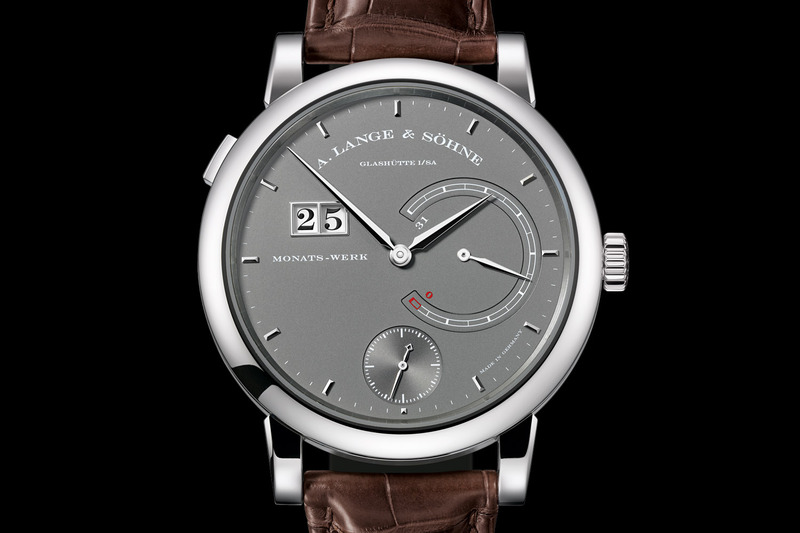 alange-soehne.com.